Welcome to this special blog post! Today I would like to introduce one of my best foodie friends Zoe! She will tell you a bit about herself and share a delicious treat (chocolate caramel slices) with you in the end! Zoe and I met on Instagram actually and are planning on meeting up in February when Zoe comes to visit her parents in Graz. She is originally from Austria, but moved to Australia a long while ago where she married and had the most wonderful wedding. I keep melting away every time she posts one of her wedding photos. But her blog topics go well beyond the love for fitness food. Zoe also talks about a balanced lifestyle in her blog posts, shares her photography knowledge and foodie travel tips. I especially love her food guides for Hong Kong and Shanghai! Today Zoe is sharing one of her most popular recipes on my blog. 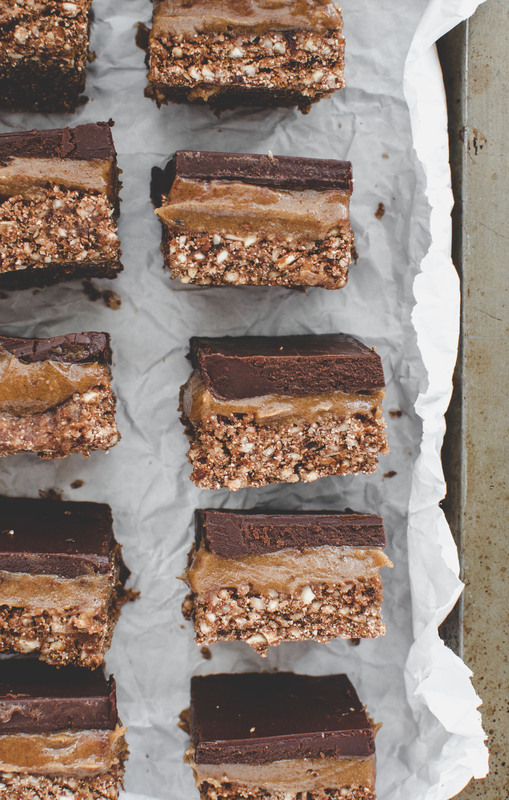 Her healthy no-bake chocolate caramel slices. Delicious caramel sandwiched between a healthy chocolate and gluten-free biscuit layers will rock your taste buds. 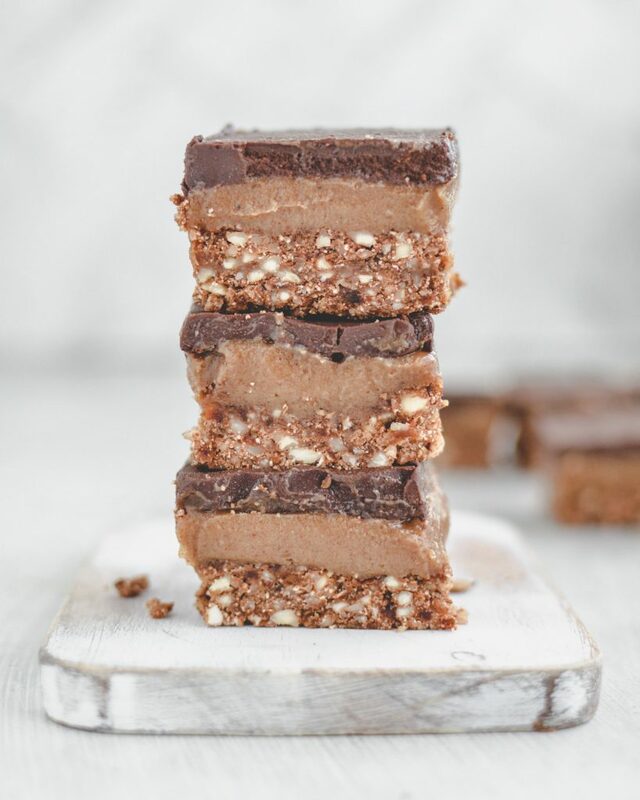 This recipe is totally guilt free since it is vegan, paleo, no bake and refined sugar free! 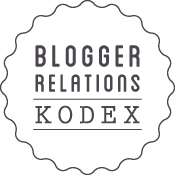 My name is Zoe and I’m a blogger, recipe writer and food photographer from Brisbane, Australia. 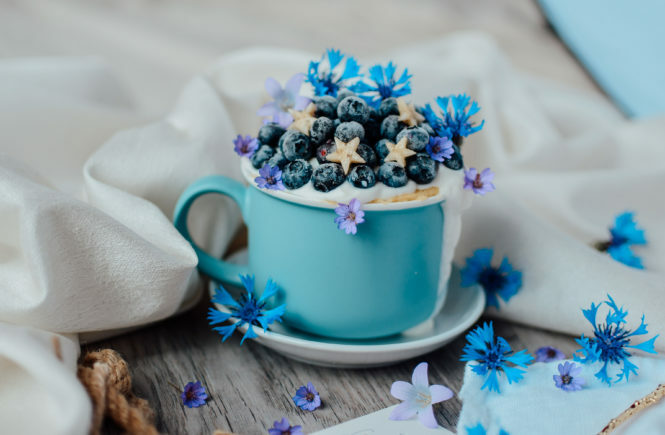 My label Wildblend is here to inspire people to create healthy dream foods that taste amazing, look amazing and are also really good for you. If looking at my Instagram feed makes you smile then I’ve accomplished my mission. I love sharing my passion for fresh seasonal ingredients, natural food colours, and unprocessed, healthy whole foods. Growing up, my mum taught me how to cook from scratch and since then I’ve been curious about turning just about every recipe I loved as a child into a healthy gluten-free and dairy-free version that anyone can enjoy. On my blog wildblend.co I focus on simple recipes with minimal ingredients. Most of my creations are also Paleo and Vegan-friendly. I host food photography workshops in Australia and hopefully also in other places around the world during my travels next year. Moreover, I love teaching and sharing my passion just as much as I love cooking. Therefore, I hope that my journey will inspire someone else to follow their passion and turn their dream into their day-to-day job. If I can do it, then you can do it too. Instagram has enabled me to collaborate with amazing human beings such as Carina and it’s such a wonderful platform to make friends online and offline. As I’m writing this, I’m sitting in an Airbnb in Melbourne to apply for my US visa. 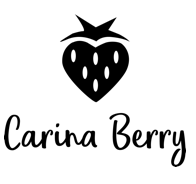 My husband and I are planning to go on a 12-month honeymoon/work-and-travel adventure around the world and hopefully I’ll get to catch up with Carina along the way. 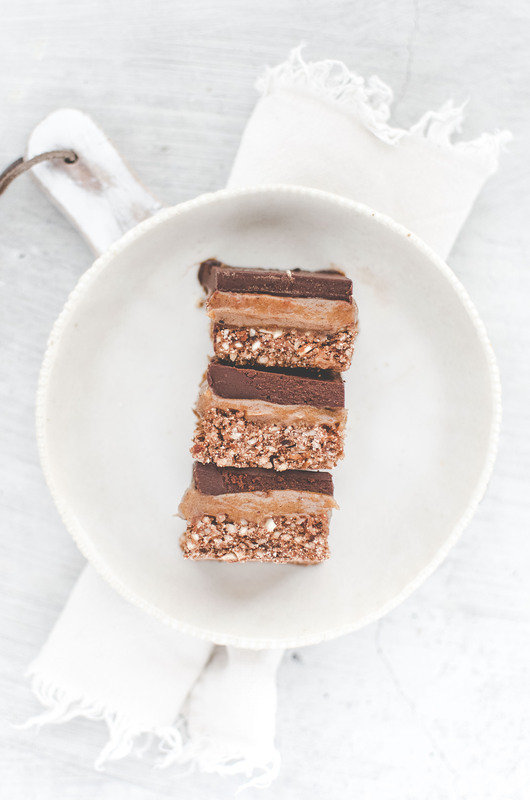 Today, I’m sharing an all-time blog favourite, my Healthy No-Bake Chocolate Caramel Slices. It’s a fan favourite and a huge hit in my household. The secret of this slice are the three layers, nutty base, caramel-y middle, and a chocolatey topping! 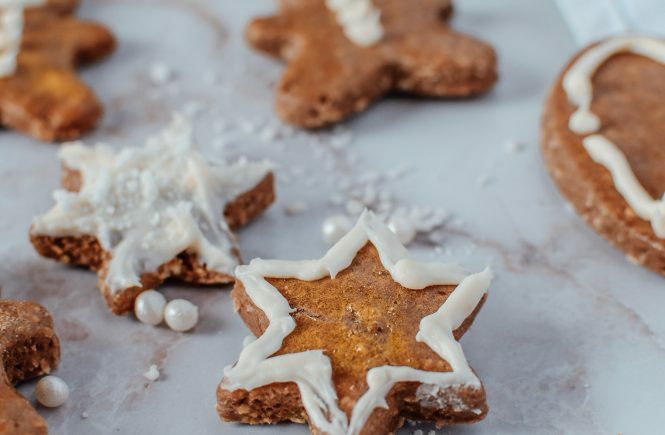 Trust me, you won’t want to miss out—this is the perfect Christmas holiday treat the whole family will love. Enjoy! 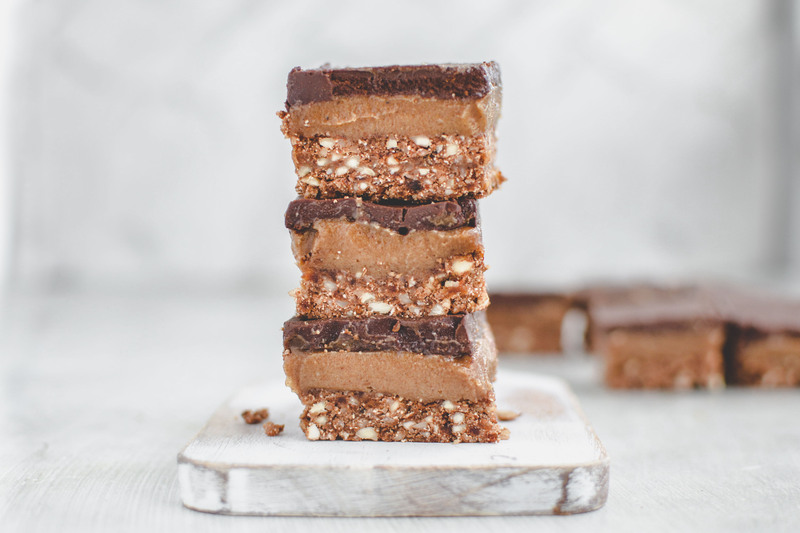 These no-bake caramel chocolate slices is a healthy twist on classic caramel slice. The caramel made from gooey Medjool dates, soaked cashews and almond butter—is much healthier and easier to make than conventional caramel. Medjool dates have a rich, almost caramel-like taste and a soft, chewy texture. They are bigger, softer and gooier than regular dried dates. If you can’t get them, use dried dates, but be sure to soak them in water to soften them before blending. This date caramel is so silky, rich, and sweet (everything you’d ever expect from caramel), that you’d never know it’s vegan, dairy-free, and Paleo, with zero added sugar! 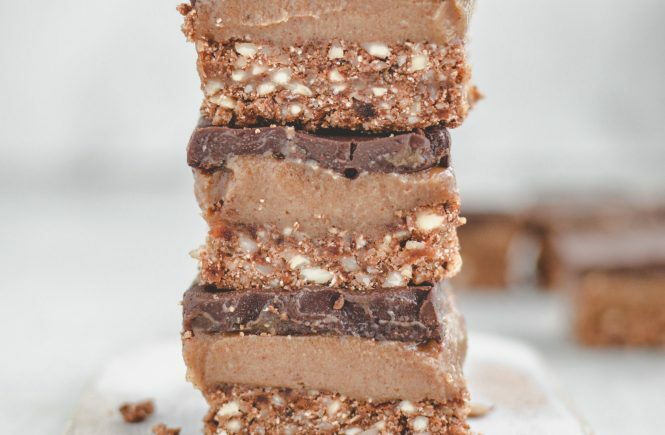 It’s sandwiched between a 3-ingredient chocolate layer and a crunchy almond and coconut base. I recommend using raw organic cacao powder (over baking cacao) for the chocolate layer to reap the full benefits of it. Raw cacao has more calcium than cow’s milk, over 40 times the antioxidants of blueberries, and is the highest plant-based source of iron. In other words, it’s a true superfood perfect for Vegans. I’m a huge fan of no-bake dessert because you don’t have to turn on the oven to make them. All you need is a freezer and a little bit of patience. 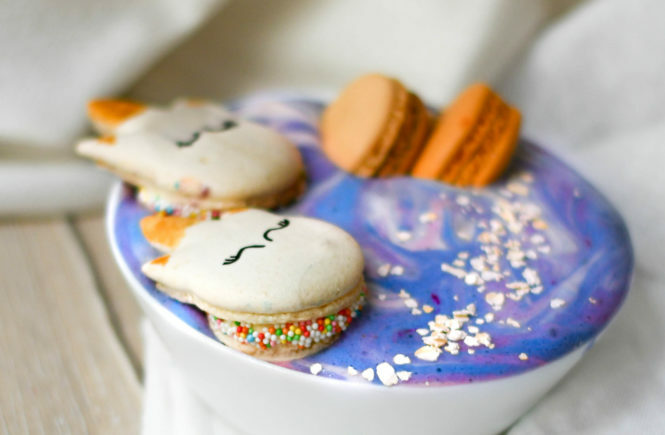 I guarantee these decadent treats are worth the wait. For the base, add all ingredients to a high-speed blender and blend until a sticky cookie dough forms. Press base into a lined (20 x 20cm) baking pan until firmly packed. Set aside. For the caramel add all ingredients to a high-speed blender and blend until creamy and smooth. Spread the caramel evenly onto the base and place in freezer to set. For the chocolate top, whisk together the ingredients until smooth. Once the caramel has set, spread the chocolate sauce evenly on top the caramel layer and smooth it with a silicone spatula. Place it back in the freezer for 2 hours or until set. Carefully remove from the pan, slice it up and store in an airtight container in the fridge and ready are your chocolate caramel slices. 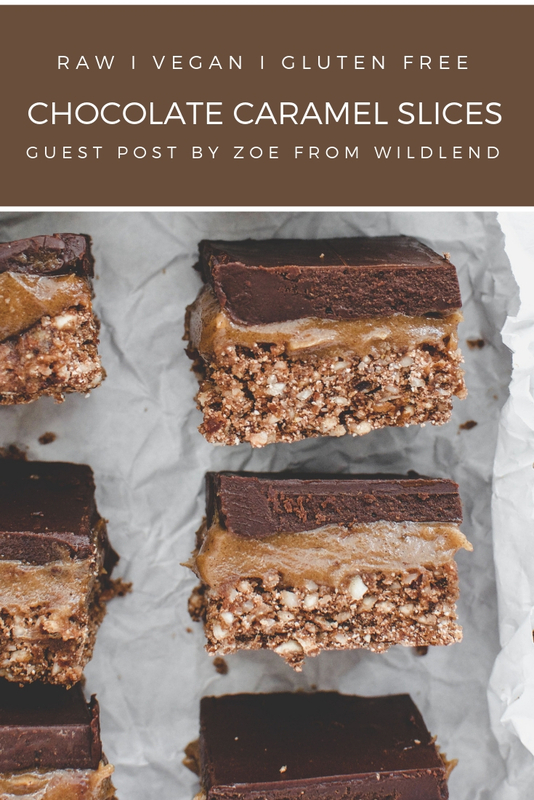 I hope you enjoyed learning how to make these wonderful chocolate caramel slices by Zoe and will check her out on social media, she is a wonderful soul and a great friend! For more caramel yumminess you can look up my protein caramel cheesecake.